Former UK Prime Minister says he is sorry for using wrong intelligence and creating opportunity for ISIS, but does not regret his actions. 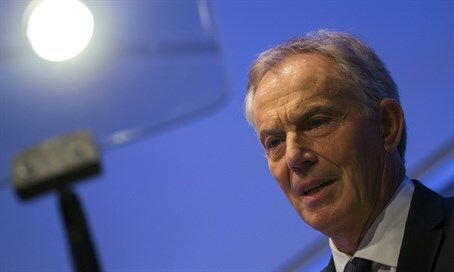 Former UK Prime Minister Tony Blair has made a partial apology for his role in the 2003 Iraq war, acknowledging the mistakes ultimately led to the rise of ISIS. The former prime minister told CNN, "I can say that I apologize for the fact that the intelligence we received was wrong because, even though he had used chemical weapons extensively against his own people, against others, the program in the form that we thought it was did not exist in the way that we thought." The United States, UK, and other countries invaded Iraq in 2003, largely on the justification that Saddam Hussein had weapons of mass destruction. Several years later, it was revealed that the intelligence reports claiming the existence of such weapons were incorrect. Blair also acknowledged that the vacuum left after Saddam Hussein's overthrow made it easier for ISIS to come together, though he qualified his statements by saying that he does not regret the decision to take down the Iraqi dictator. "I find it hard to apologize for removing Saddam. I think, even from today in 2015, it is better that he's not there than that he is there," he told the interviewer, Fareed Zakaria. In summing up his feelings on the invasion, Blair said that he did what he believed to be right at the time. The interview's timing is notable, as the Chilcot enquiry into the war is scheduled to publish its findings soon. Many expect that it will be strongly critical of Blair's conduct.